Prom season is upon us, and I don't think that today's teenagers have the faintest idea how rotten spoiled and lucky they are. I was watching a segment on Good Morning America not long ago about current prom trends - thousands of dollars being doled out on dresses, accessories, hair, makeup, and even tanning sessions all in preparation for an evening that will eventually become mostly forgettable. When one considers the usual return on investment for getting gussied up for prom night (i.e. a catered meal of dry chicken at the local country club and making out in the parking lot with the football captain or more likely, the team's unofficial water boy) you have to admit that it's a big waste of money. Difference #1: We had to do our own hair. As you can see, that was no small feat, my friends. 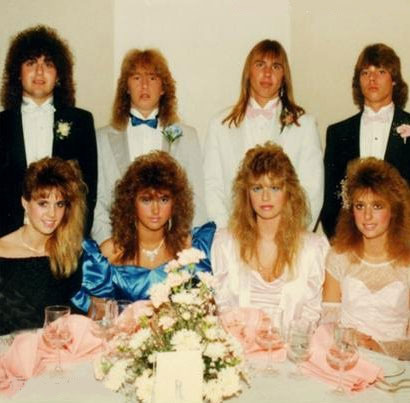 Don't forget the 80s was the era of hair bands, A Flock of Seagulls and Duckie from Pretty in Pink. I'm willing to bet most of these kids' parents didn't have the extra dough to pay to have their head done, when an entire can of Aqua Net or that newly found invention, mousse, accomplished the job quite nicely. Difference #2: We usually didn't wear a designer prom dress. 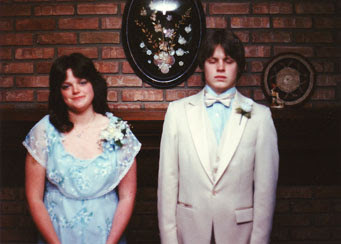 Difference #3: We weren't always so psyched about our dates. Yikes. These folks look like they'd rather be at the dentist or the gynecologist. 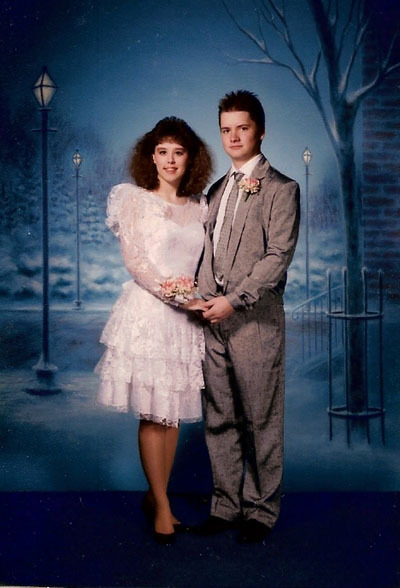 Sorry, kids, but the cold truth is we all can't take someone who looks like Don Johnson or Heather Locklear to the prom, so make the best of it. 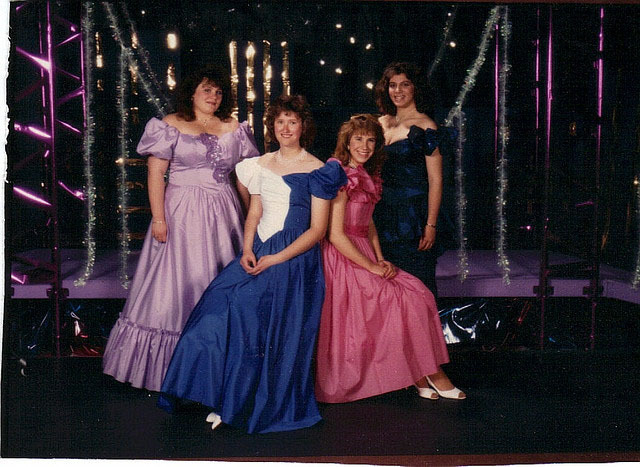 Difference #4: The decorations/photo taking backdrops weren't always so hip. Needs more plants, don't you think? Nothing screams 80s like black and pink balloons! Difference #5: We had awesome music. Here, finally, is where I can say the proms of yesteryear trumped today's proms anytime. We had Huey Lewis and the News, INXS, Foreigner, and Hall and Oates. Today's kids are stuck shimmying to Lady Gaga, Justin Bieber, and that annoying girl who sings about fried egg...I mean, Friday. 'Nuff said, right? P.S. All photos from Flickr. Ah hahaha - this post made me laugh. I can't believe what proms are like now either. A lot of parents I know have spent more on their daughter's prom than I did on my entire wedding. Nuts. What a hoot! Fun post. Have a lot of those photos somewhere. If they ever show up online people will know I've met with foul play (or think it was foul play that I was dressed like that and had a photo to prove it). 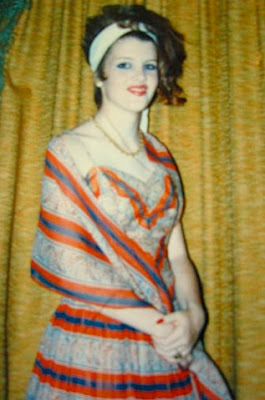 Fun..I am a 70's girl and my one prom dress was very 'hippieish' macramae and all that. No limo, no photo..but yes dried chicken, although I was a vegetarian. I can't even remember eating or any part of the evening for that matter. The only part I remember is fake sleeping on the way home just in case my date was getting any ideas about any other sort of activity (snort)! My daughter who had proms in 1999 and 2000 picked up vintage prom dresses from the 70's and recreated them (well, I recreated them). Her pictures DO look scary though...even today..maybe because she looks like she should be in the 1970's. I went to a Baptist high school in the 70's that didn't allow dancing so we had banquets(I was shocked to learn that they now have proms! Kids today get away with EVERYTHING!). 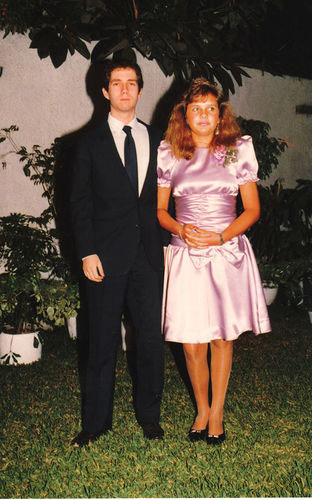 When I was a junior, I was going to go stag until a couple of hours before the event...that is when the mother called me to ask me to go to the banquet with her son because he had just been dumped by his girlfriend. I was so humiliated but being a good daughter I did it because my own mother wanted me to do it. It was dreadful evening all the way around and the highlight was being in a car crash and having to wear a neck brace for the next 8 weeks. The next year, I played it safe and asked the neighbor boy to go with me who was five years older than me and I just knew I was going to marry some day. A few weeks after the banquet, he announced his engagement to someone else. @MoonDoggie - I agree. I think it's just another sign of our overindulgent/competitive society. It used to be that it wasn't a competition of who is wearing the prettiest/most expensive dress but sadly I think today it has turned into that. @DearHelenHartmann - I was tempted to include my own prom photo but my dress was actually very classic for its time...not 80s looking at all, more 50s looking. In fact, my mother's friend's granddaughter recently inherited it and fell in in love with it; she wore it to her own prom last year. @Sassy Lassies Vintage Life - too funny about faking out your date! I bet your daughter's dress looked fabulous. @DrJulie-Ann - Ouch. Now that is a (not-so-memorable) prom evening indeed. Sorry to hear about the accident. You were a good sport to go with that guy. Indeed, the whole event can become overrated. I laughed all the way through this post. My own prom was in 1966, but I taught high school English for almost 30 years, so I saw a lot of proms! 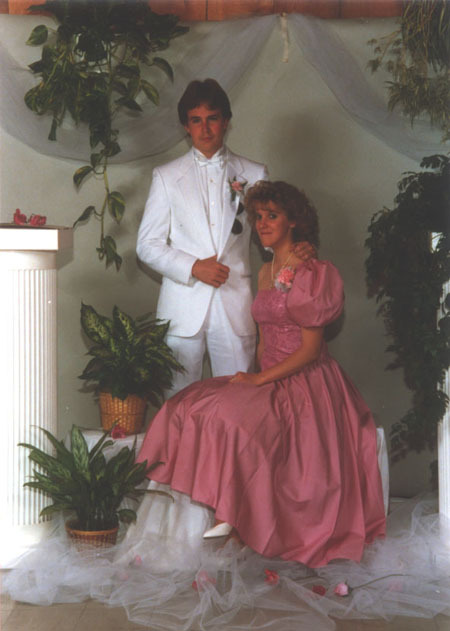 Who can forget splatter-painted tuxes and all the pastel ones a la Miami Vice? I agree that today's high school kids are self-absorbed little brats for the most part, but I fault their parents for making them that way. What happened to just saying no? That first picture... Oh Dear Lord THAT FIRST PICTURE! 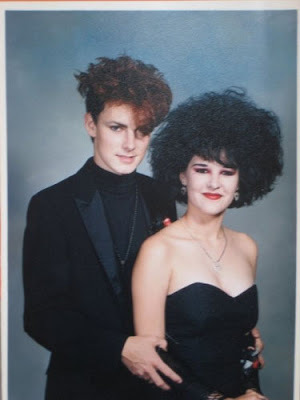 Those two goth looking kids probably thought they were the coolest kids in school. Little did they realize that they would be mocked decades later. Fantastic post by the way. I remember little of my own prom, but since I'm a guy it was not as important to me as it is to girls. Ha ha ha!! The memories!!! 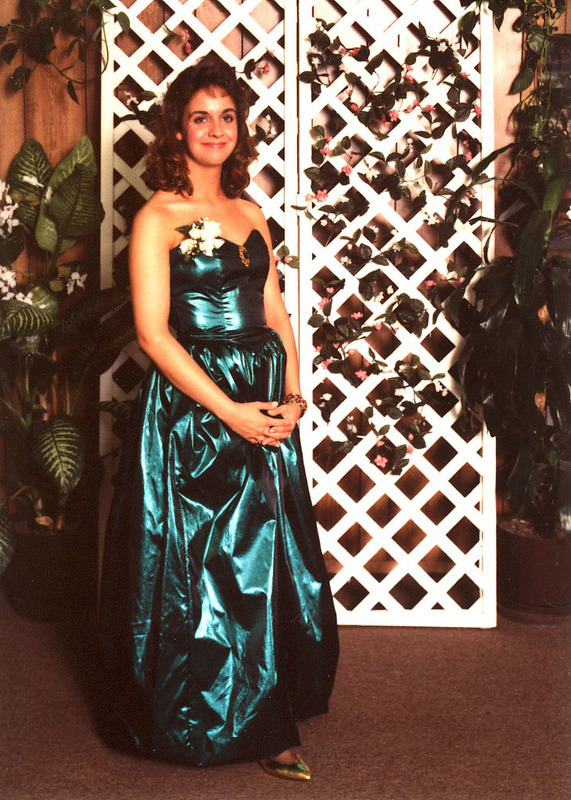 I still have my first prom picture. Robin's egg blue gown with a matching huge flower in my hair - and the backdrop was something else. Definitely no limo here, either....but you're right - the music was excellent! God bless you for your hilarious blog post. People get ridiculous with prom, I have to agree. 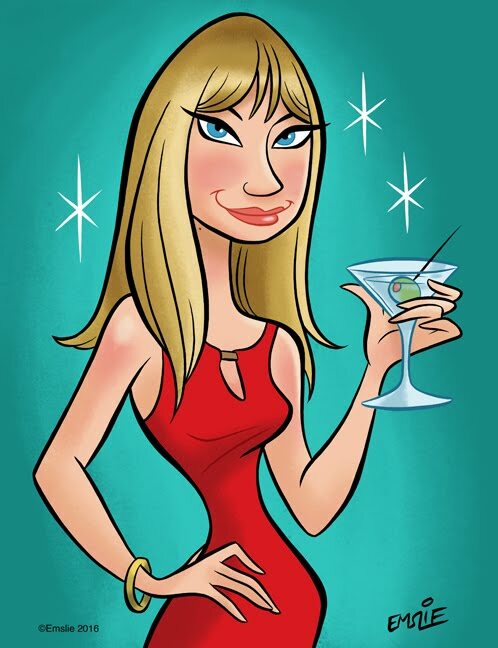 But as someone who did prom 5 years ago, I can say it wasn't that forgettable, I went with a very fun, very gay date and I was sure to get a cocktail dress that I could wear more than once. I'm wearing it next week, as a matter of fact. Also, my dress was $149. Not terrible for a cocktail dress from a boutique. Great post and awesome pictures. This made me laugh. 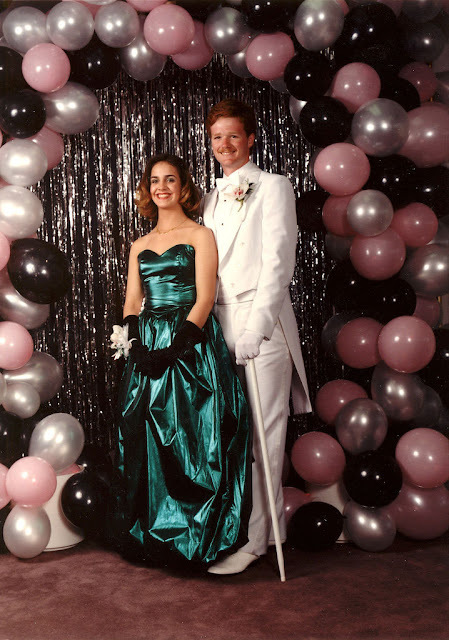 I did go to my proms but wish that I hadn't - friends of the family set me up with my dates. I had my hair done at the beauty parlor both times - it was short but somehow the girl made it really high. I did have that brand dress that you mentioned too. I agree, our music was so much better than what's popular now. @Desiree - you go! My daughter just had her first prom - $89.00 - her daddy (me) bought it + shoes - She was beau-ti-ful. Cannot think of a better money ever spent. And it made me tear up. The first thought that ran through my head was "Sixteen Candles".In the fourth picture down the one guy in the background looks like Robin Zander of Cheap Trick fame.I was one of those that never had to worry about the whole prom thing due to dropping out of school to go to work.Getting my GED years later made me realize that hey,I never experienced the whole prom thing; GOOD! I so love this post. It is bringing back all kinds of memories. Luckily, my hair was pretty OK that day, and my dress was plain enough. 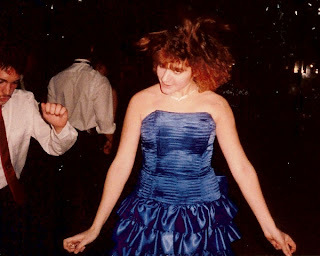 I was looking at some of my pics from 1986 and saw the paacock blue tuxes some friends war, and the teased hair and blue eyeshadow. LOL! 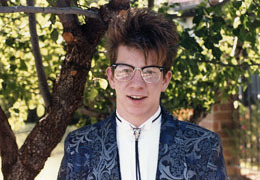 God love the 80s! Thanks everyone for your comments! Glad you enjoyed this post. Desiree, very smart of you to buy a gown that you could actually wear again. I tried to leave a comment a few days ago, but Blogger didn't like me that day! 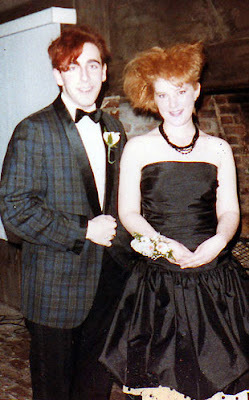 That said, basically I just thought this was such a fun post and I do remember my 80s prom so well... My mom fixed me up with my date! I was very geeky and this was the only dance I wanted to go to, so she asked a co-worker of hers to take me. He was 23 and I had a huge crush on him, so it was actually a really awesome event. My mom did get my hair done professionally and she dropped 300 dollars on the dress. My mom was incredibly frugal, so she must have really felt for me. Anyway, it was really awesome... and very 80s and it's one of the few truly good high school memories I have. Plus, I'm from Vegas, so my prom as at a casino! My date actually asked me to call him, but I thought he was only being nice. I ran into him about 2 years later and he was all, "Why didn't you ever call me?" I missed out! omg! These pictures are crazy!